Something happens to the locals in a summer resort as the summer ends. A new summer friend called it August-itis but the fever peak is clearly Labor Day weekend. I can remember the deli counter lady at the East Hampton Stop & Shop years ago openly invoking the later days of September when “they are all gone home”! But perhaps the most telling sign of August-itis seen was the local honking her car horn, yelling expletives at the bicyclers, cars and a couple with a baby stroller–all moving too slowly for her. Of course she could have easily driven parallel on Bradford Street to avoid the ‘renters’ and other non-locals; the very people who give Provincetown its primary source of income and tax revenues. 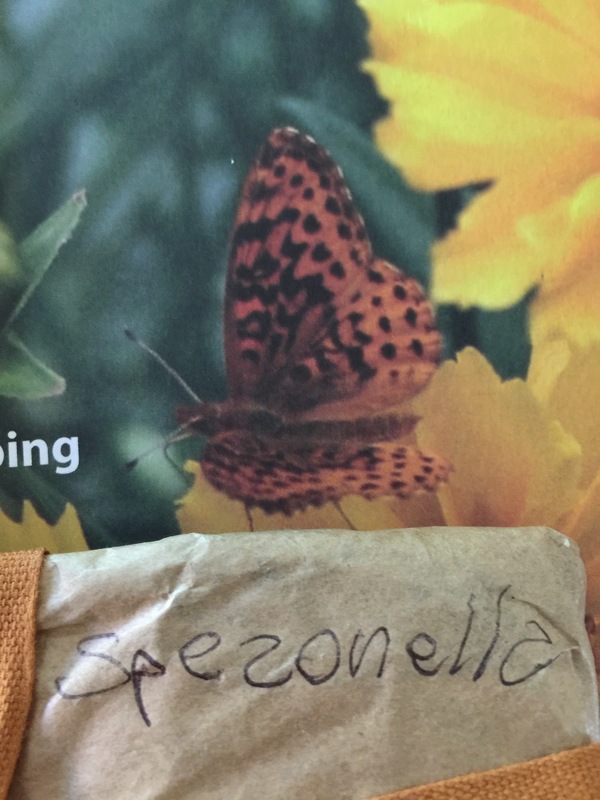 Our friend David Beahm, floral designer extraordinaire and now the owner and proud father of Thistledew Farm @davidbeahm, growing flowers and produce from heirloom seed, asked us to look up a word that was written on some seeds sent to him by an admirer. So we tried s-p-e-z-o-n-e-l-l-a: nothing. Double z: nope. Diminutive of something else? Spezzone means “excerpt” or “clip”—that doesn’t seem to be a likely name for a flower. Finally I thought, “maybe it’s not a z at all, but a print-script hybrid r?” Sure enough speronella is delphinium, but interestingly, according to Wikipedia (in Italian) it is the common name for delphinium and speronella is itself derived from the words “spron di cavaliere” or horseman’s spur. 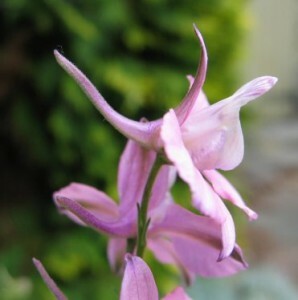 Which made me think of our common name for delphinium which is larkspur. So two peoples see in the flower’s shape a spur―one a rider’s boot, one a a bird’s foot.